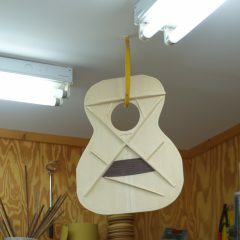 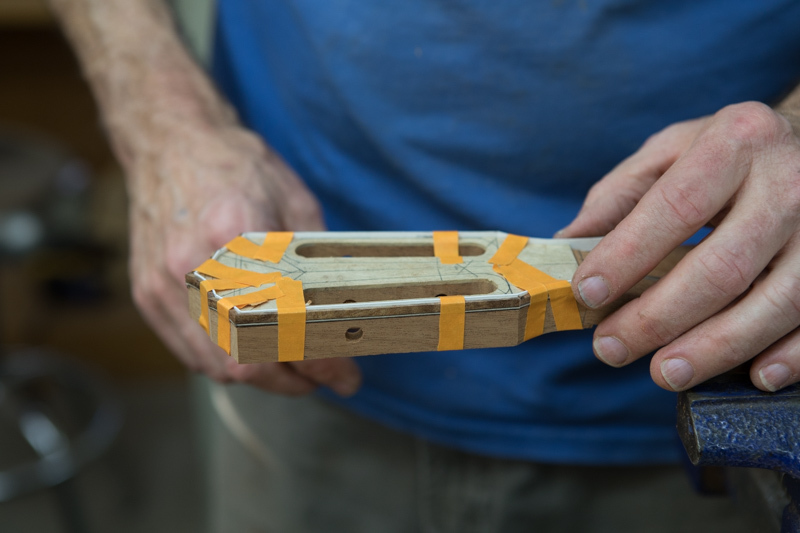 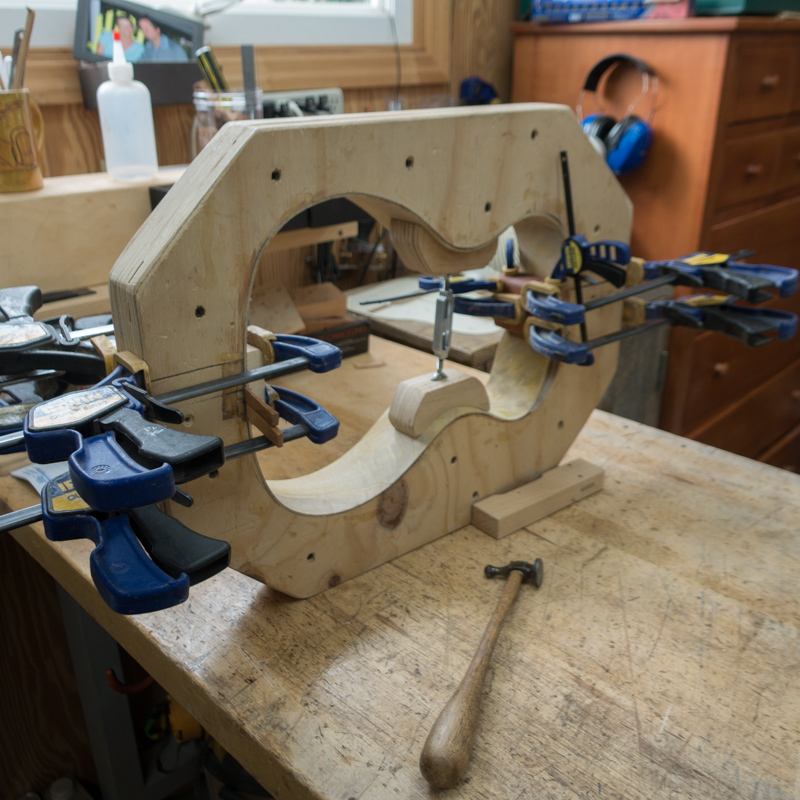 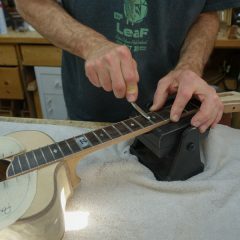 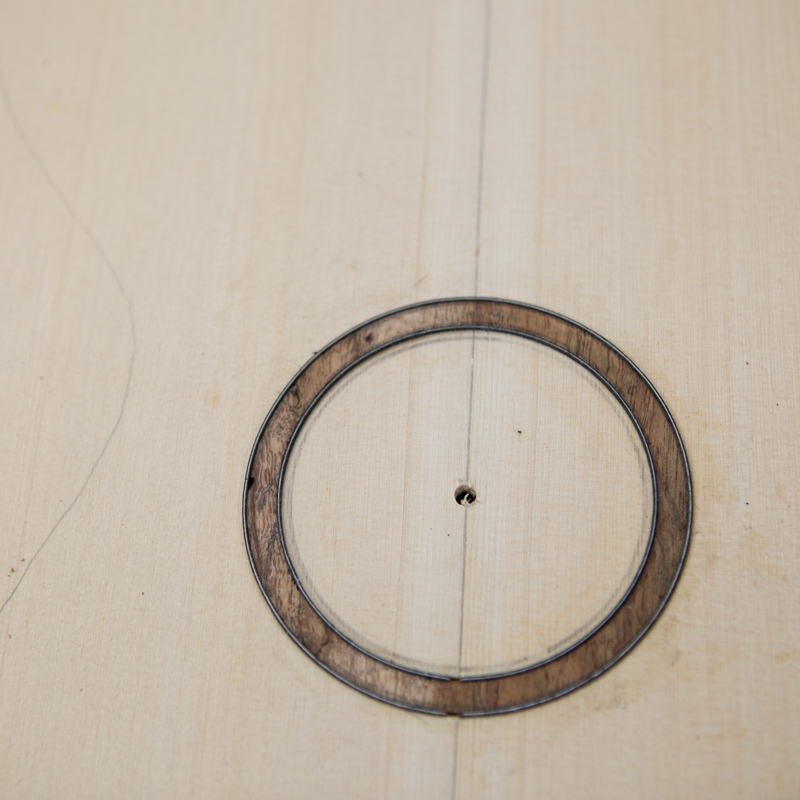 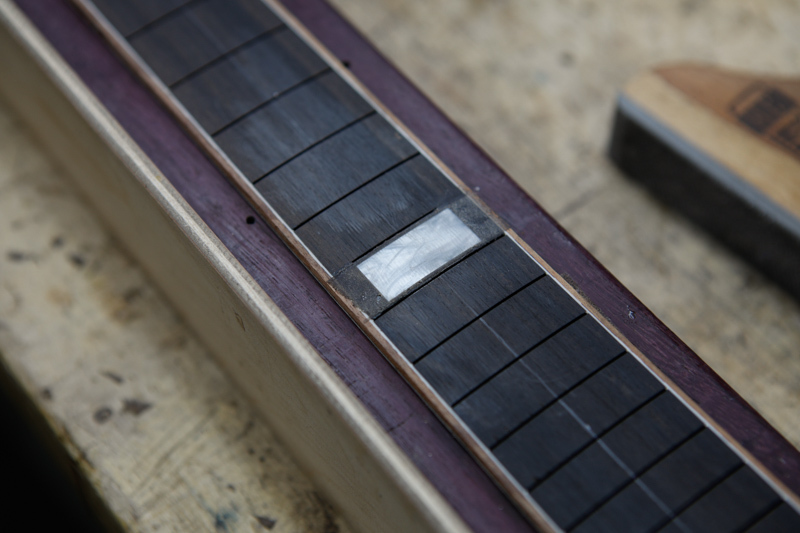 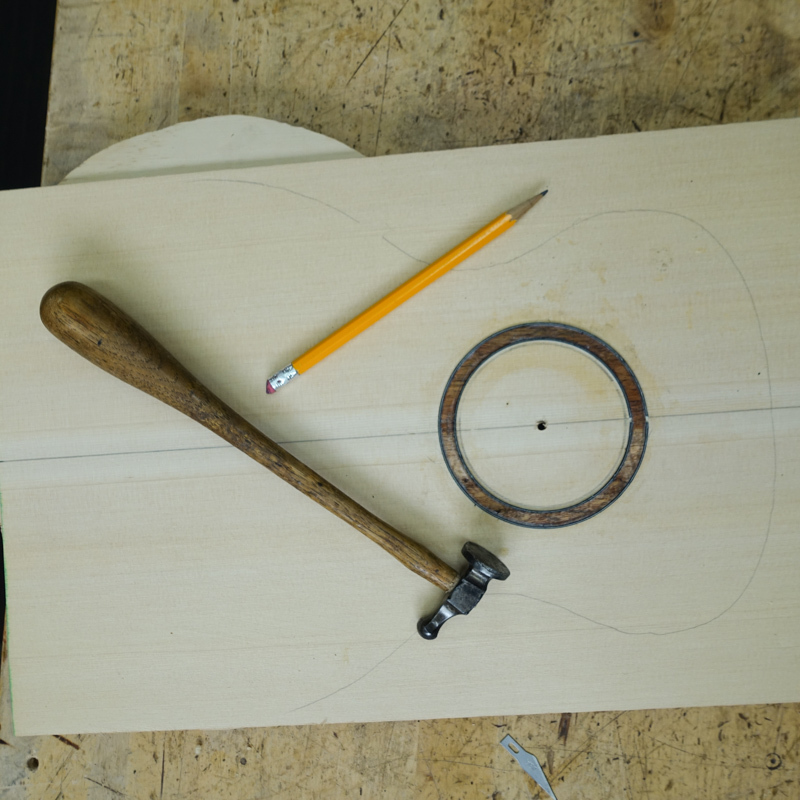 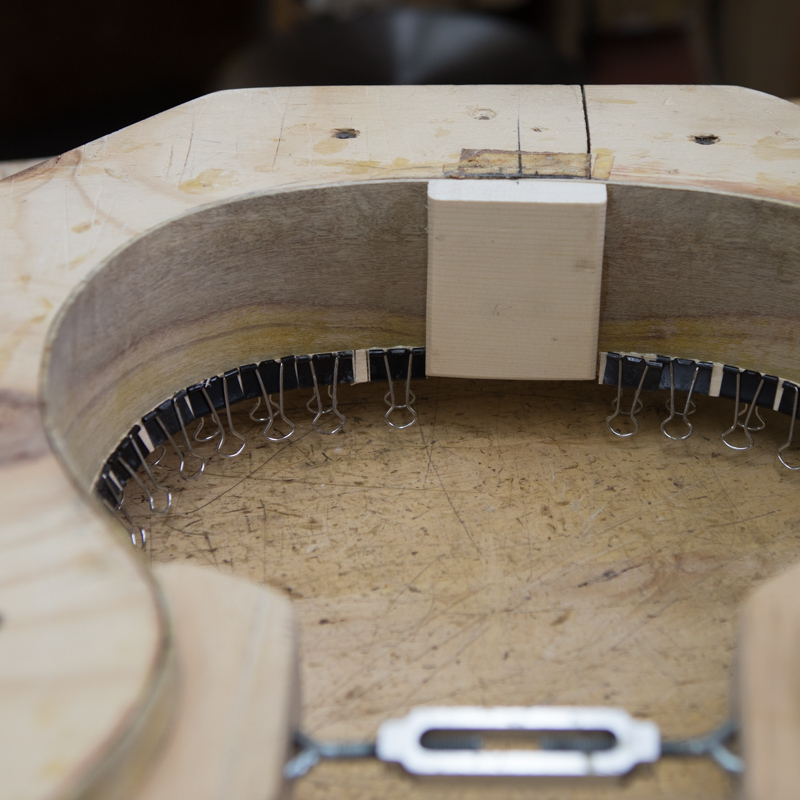 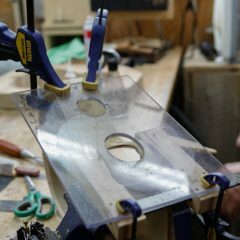 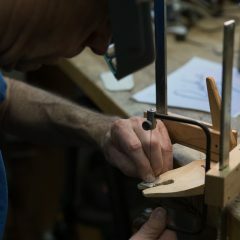 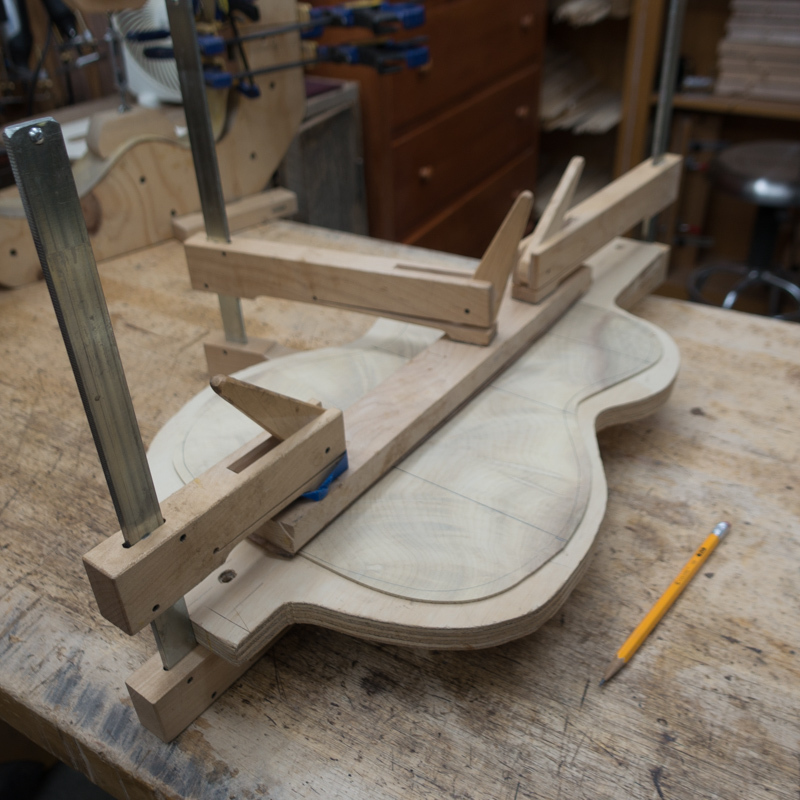 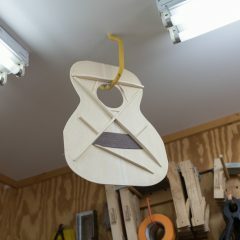 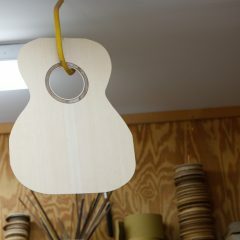 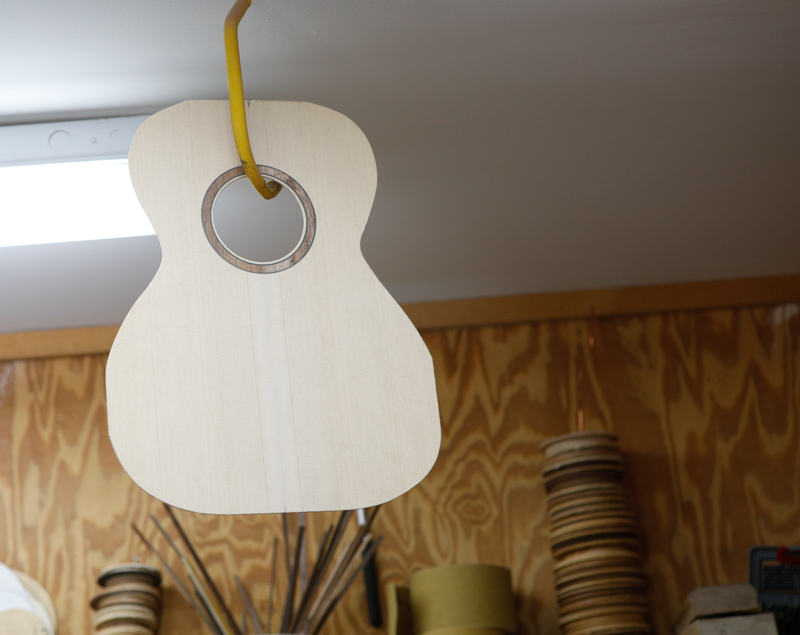 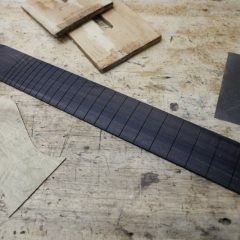 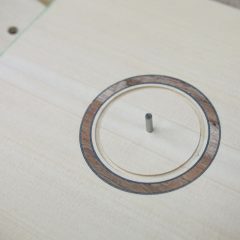 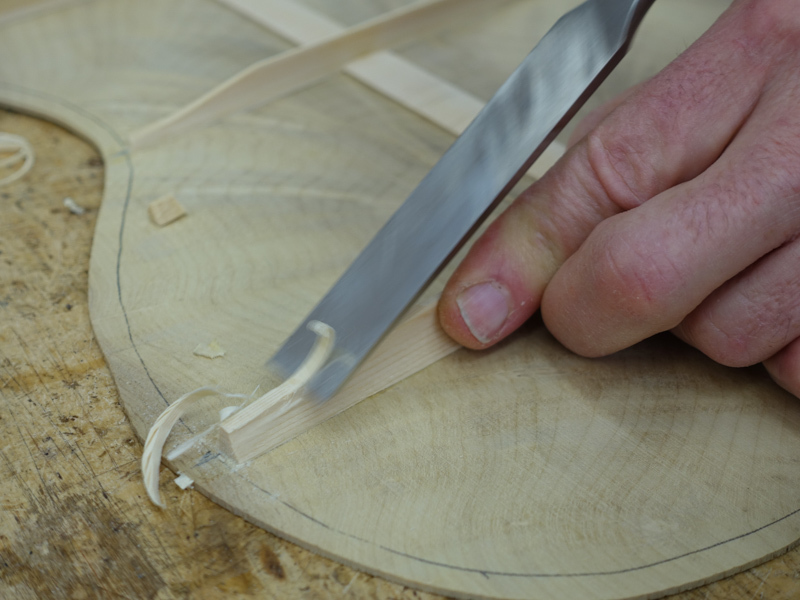 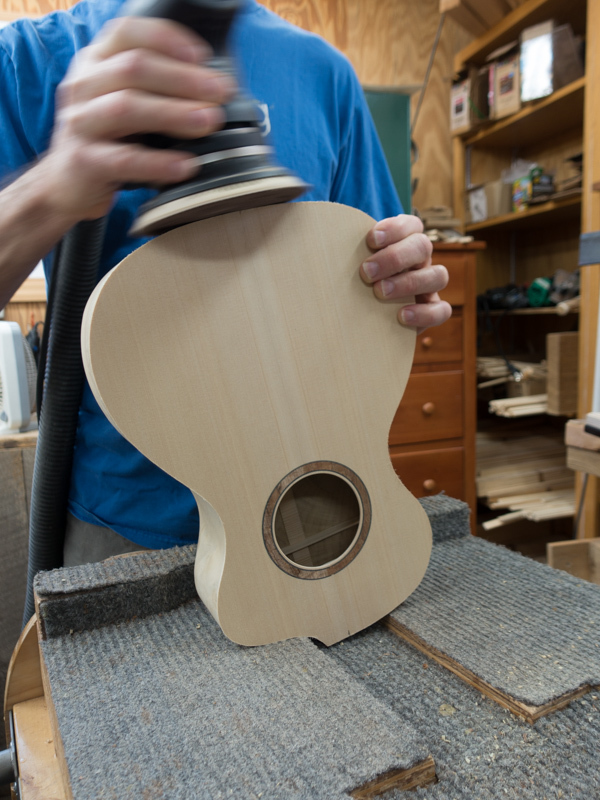 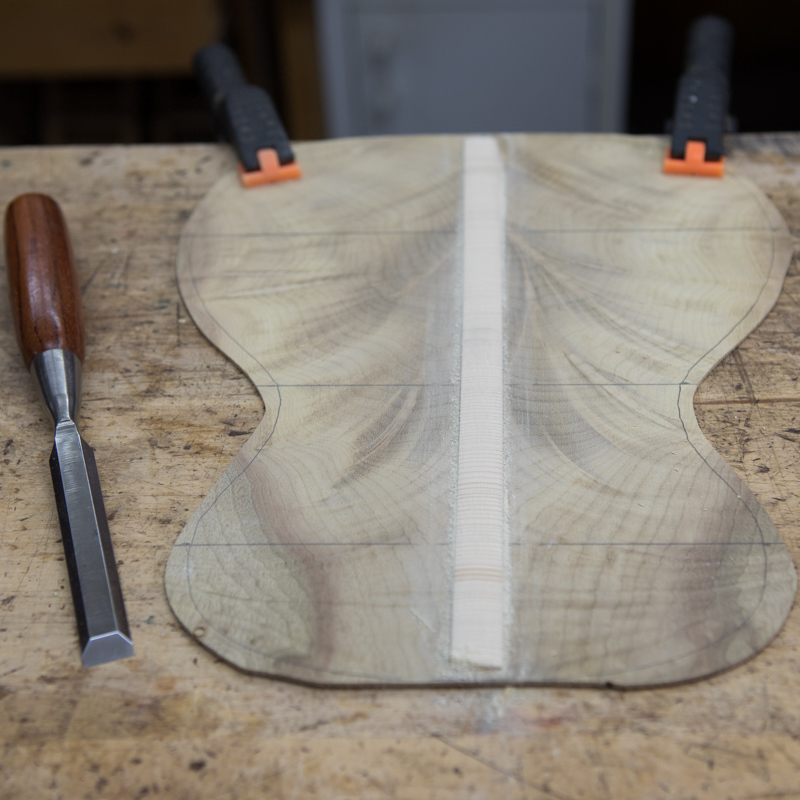 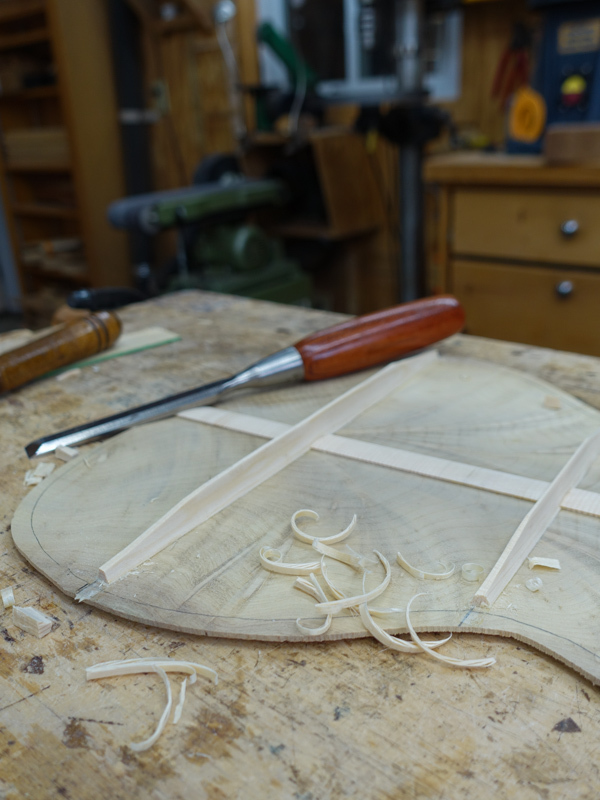 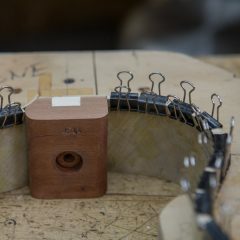 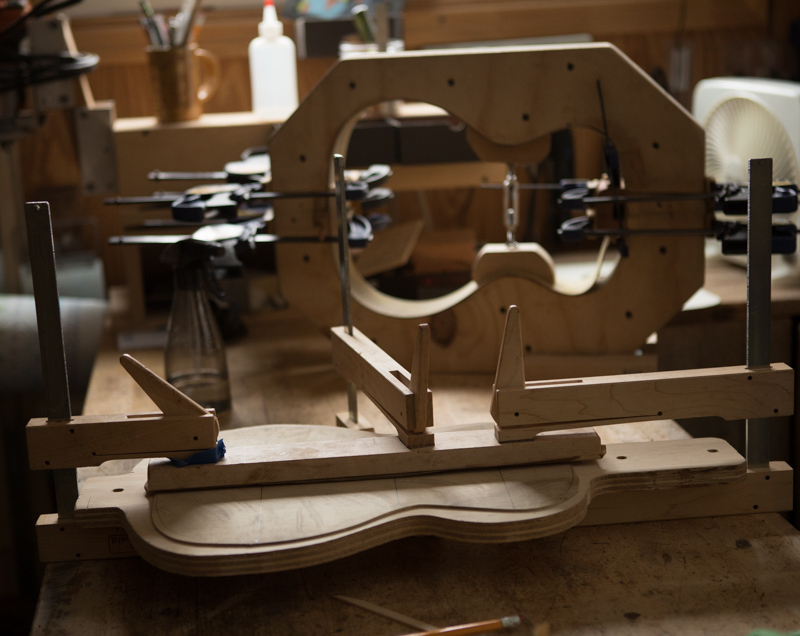 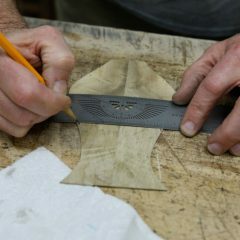 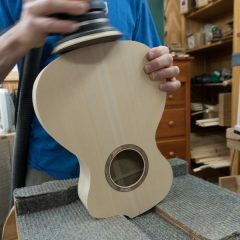 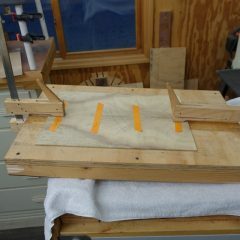 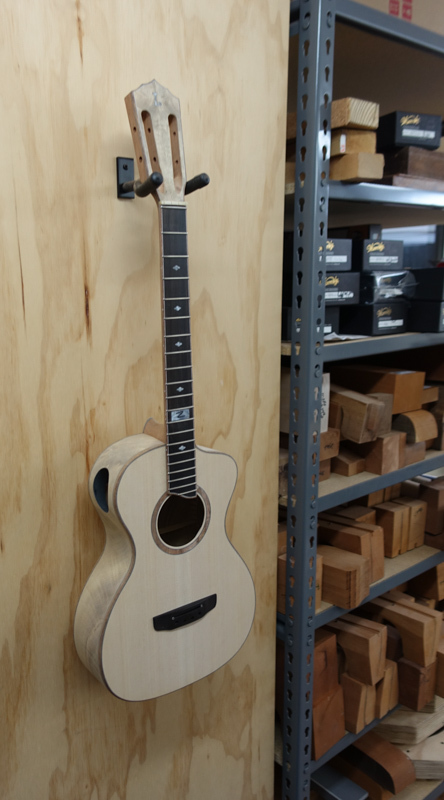 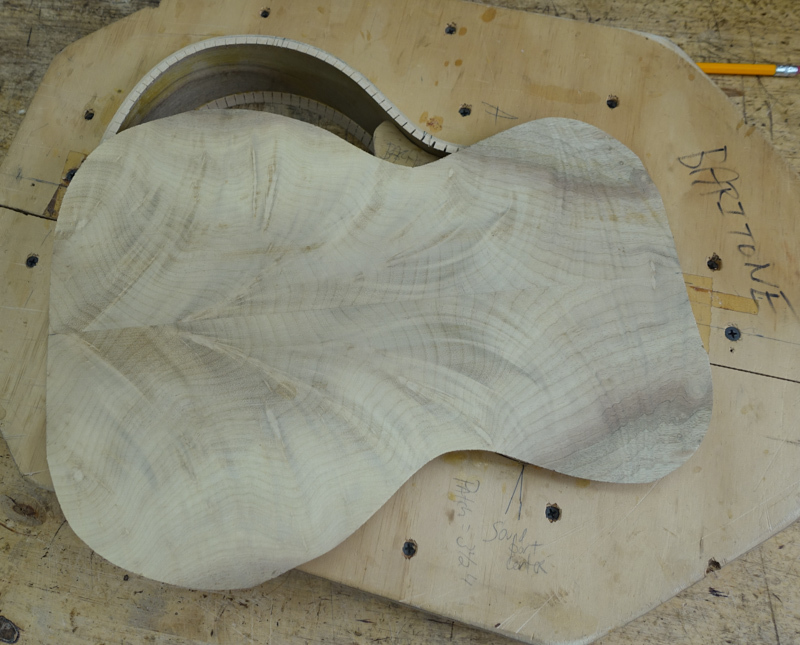 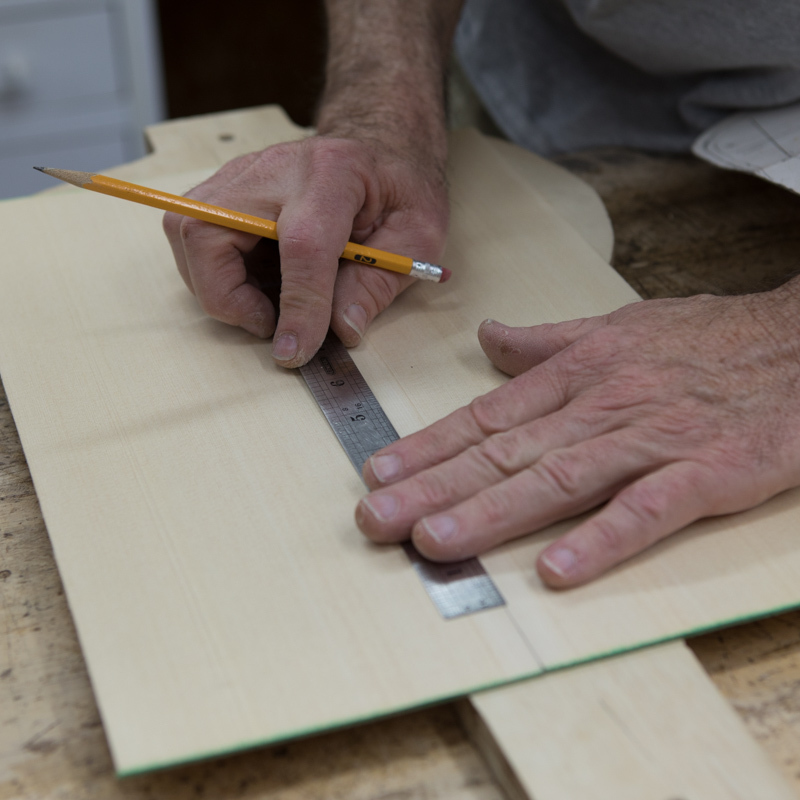 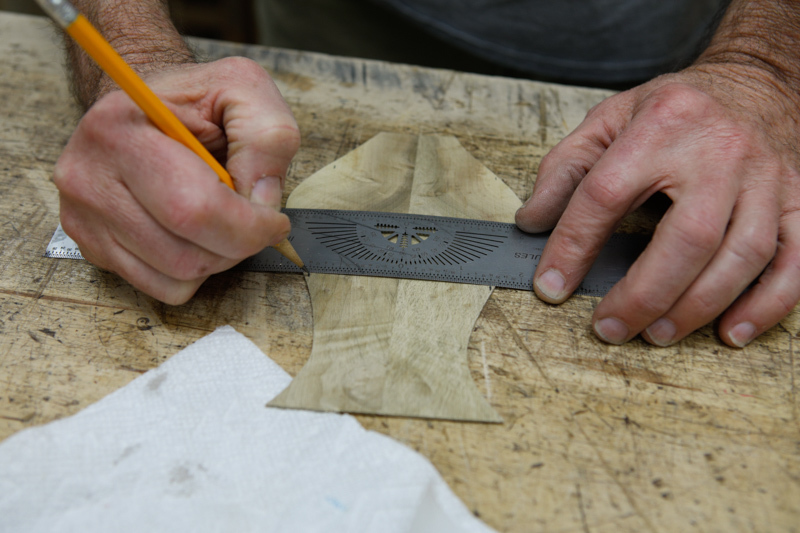 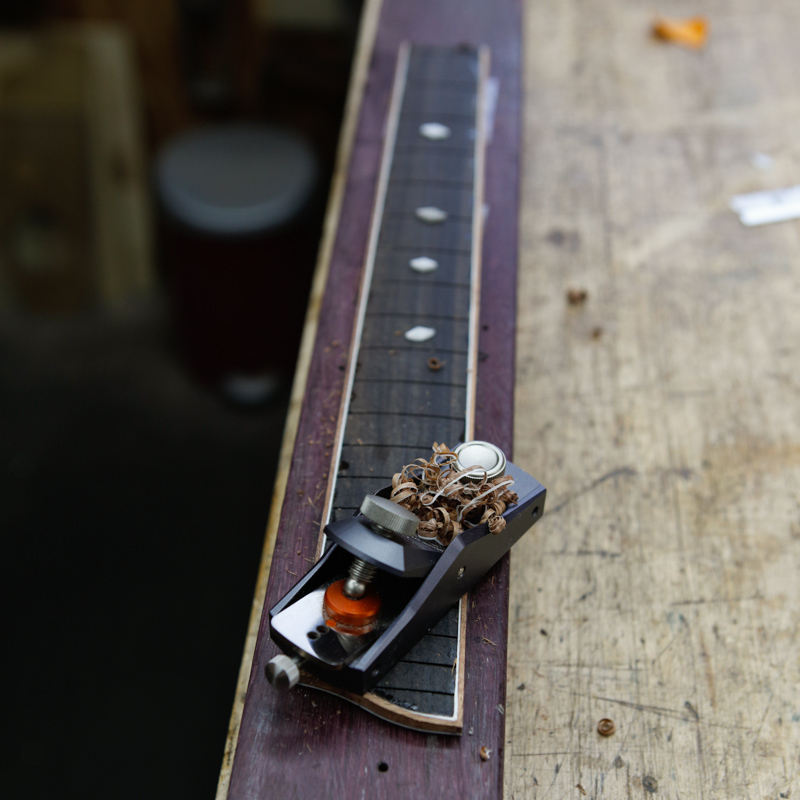 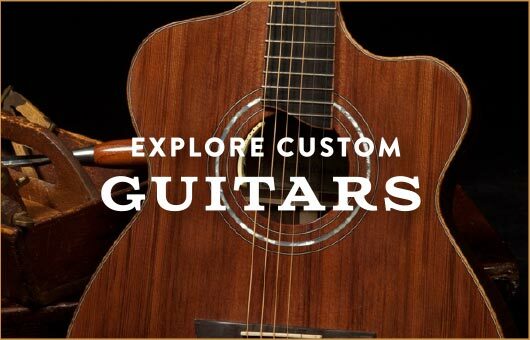 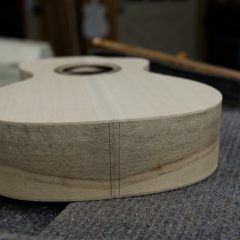 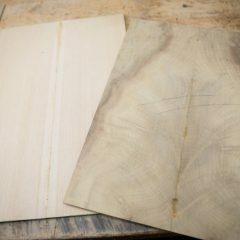 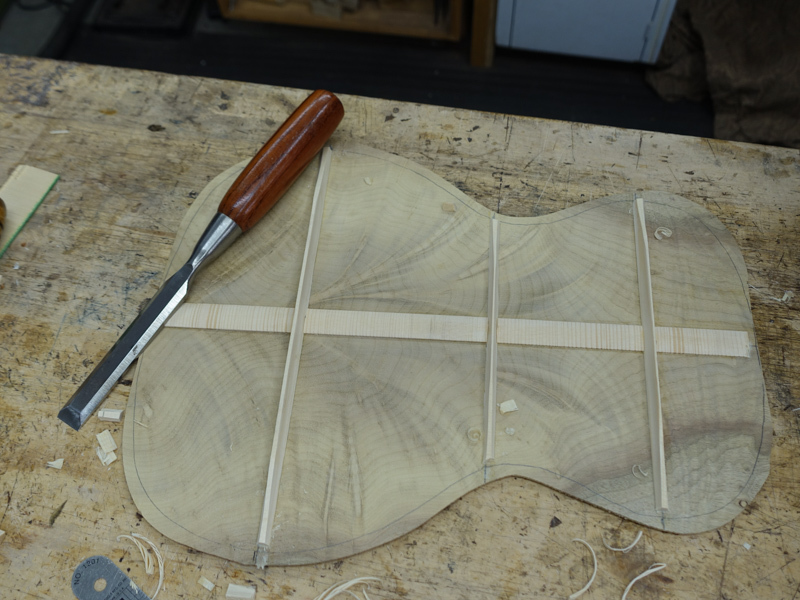 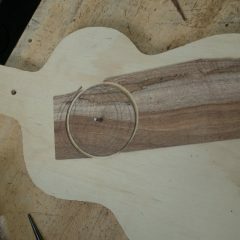 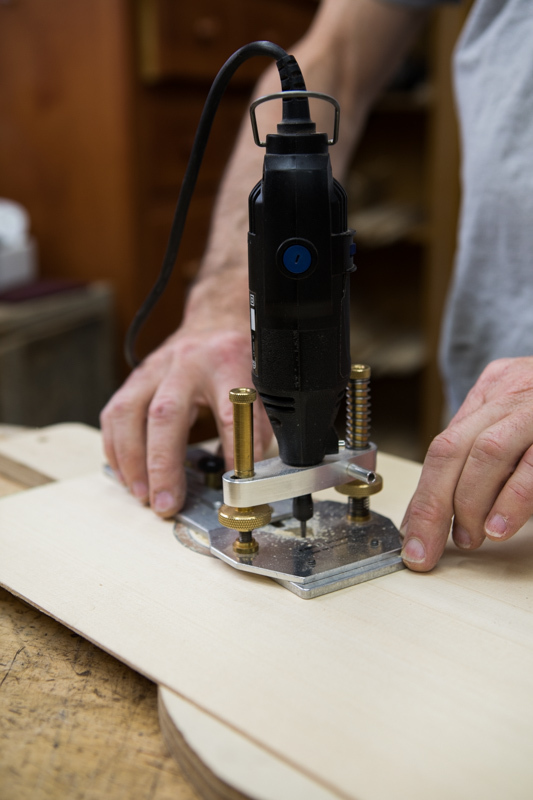 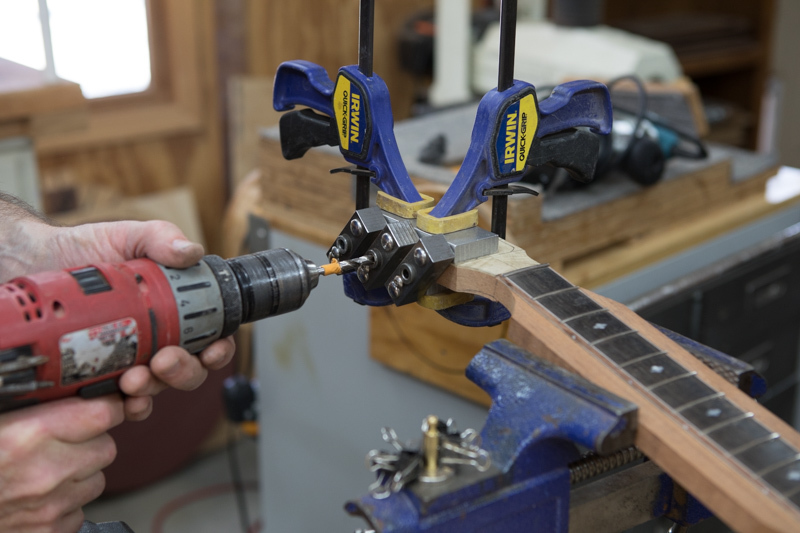 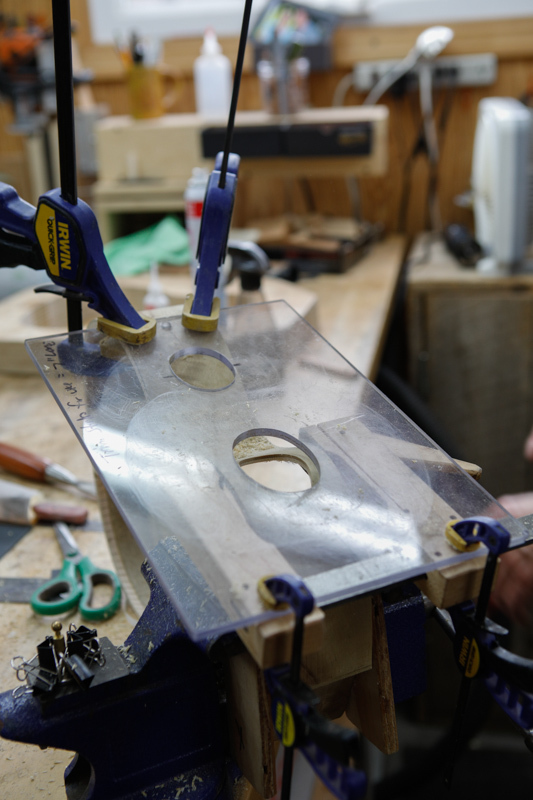 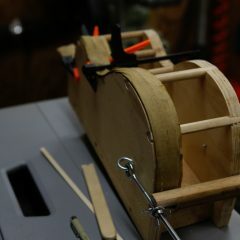 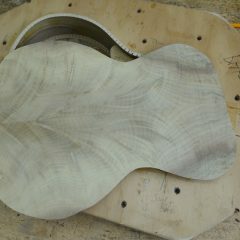 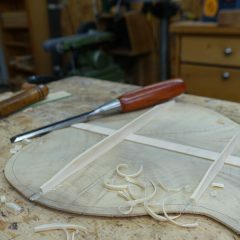 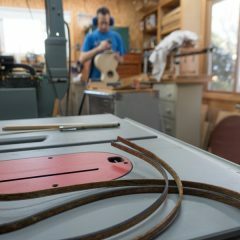 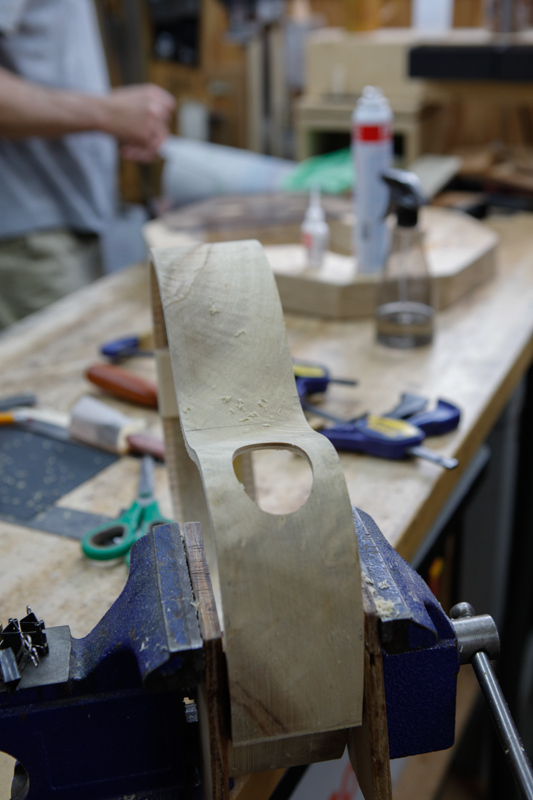 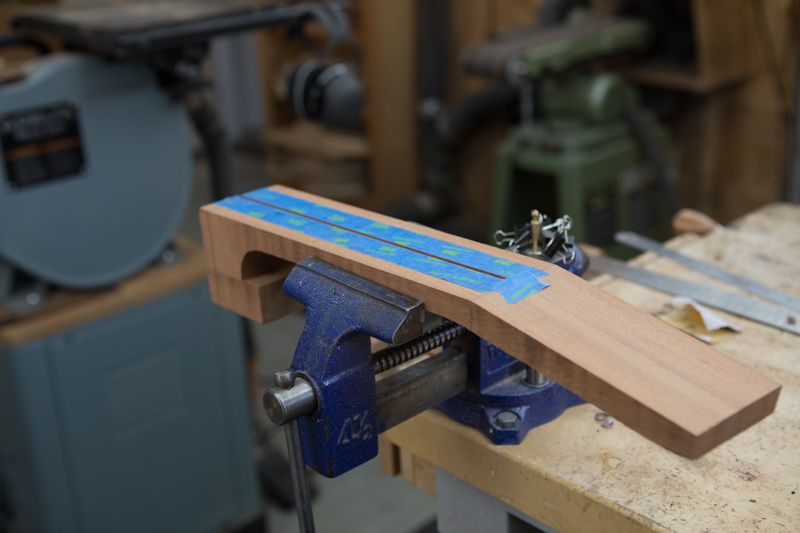 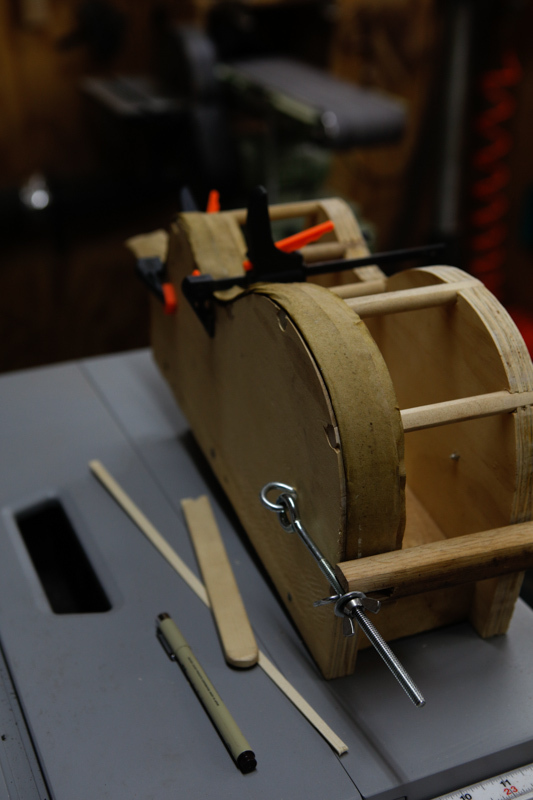 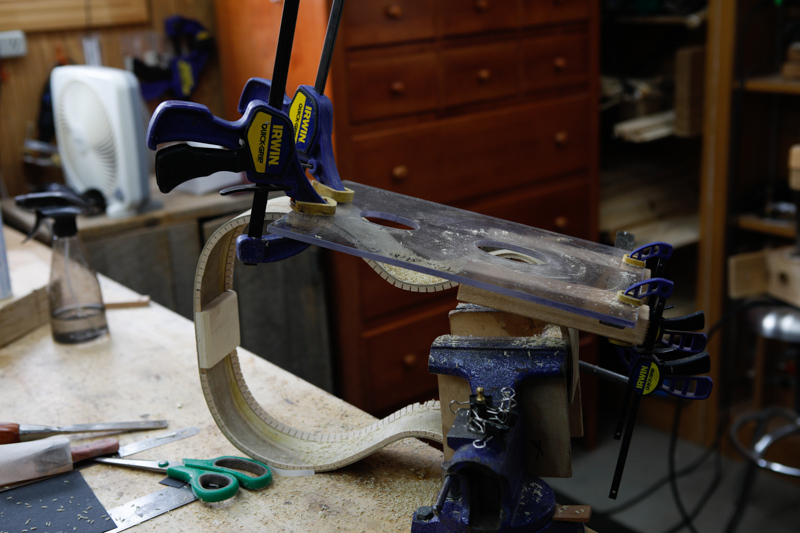 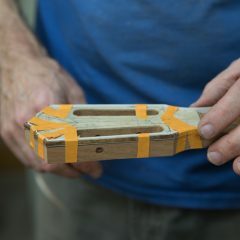 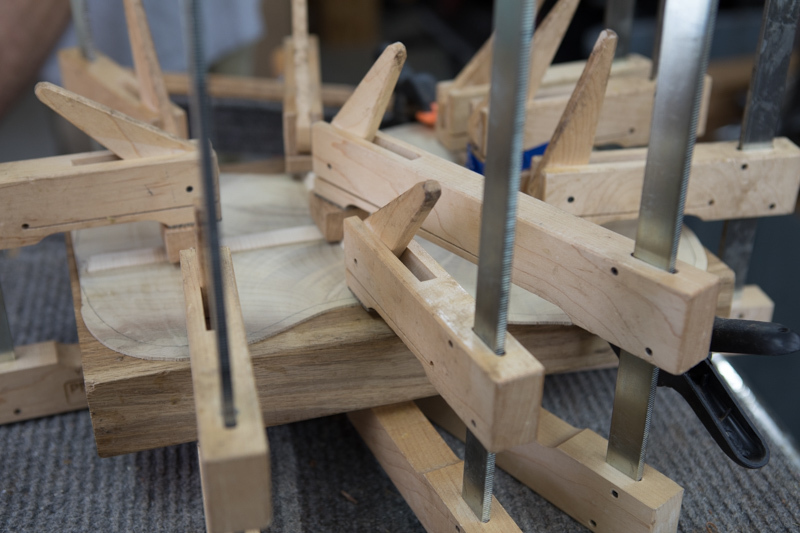 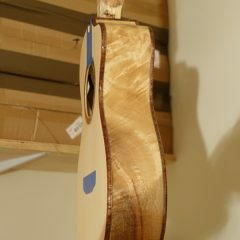 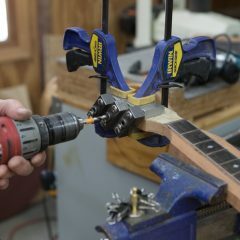 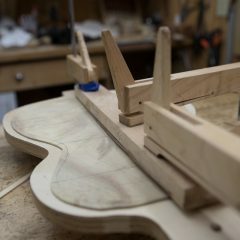 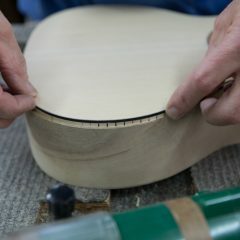 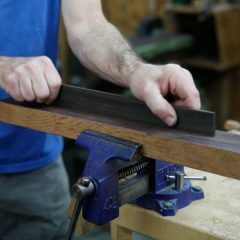 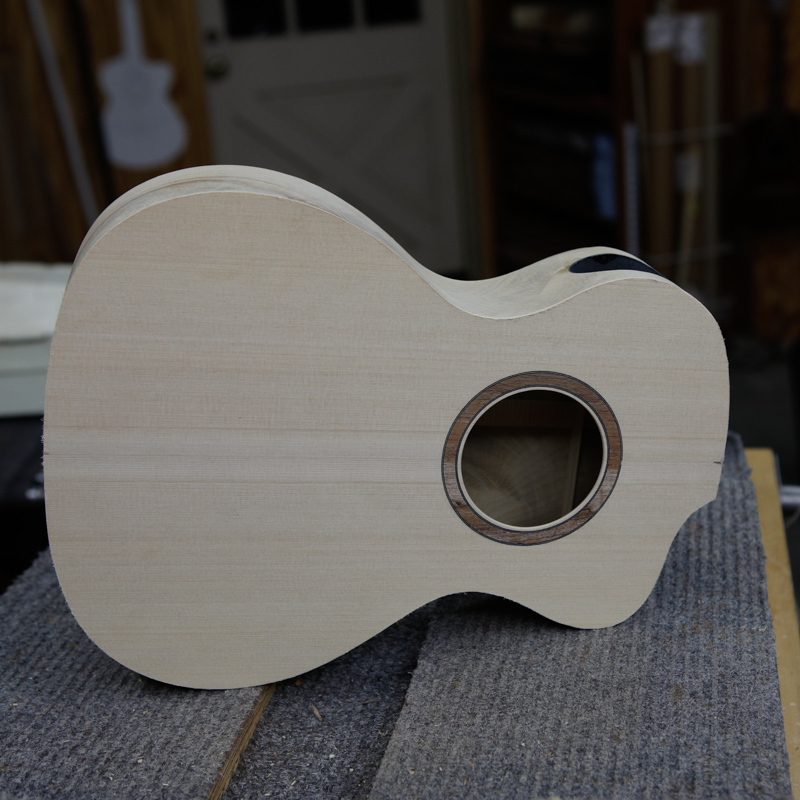 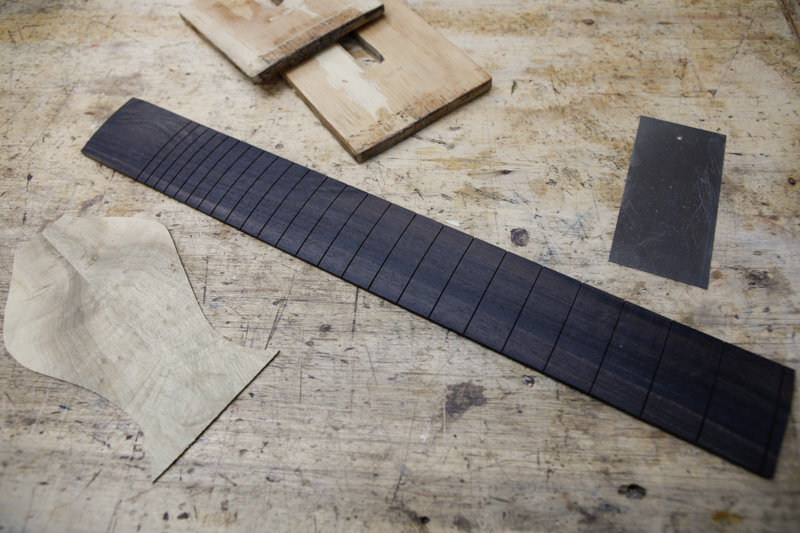 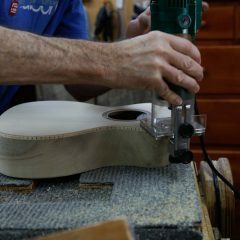 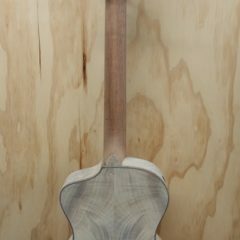 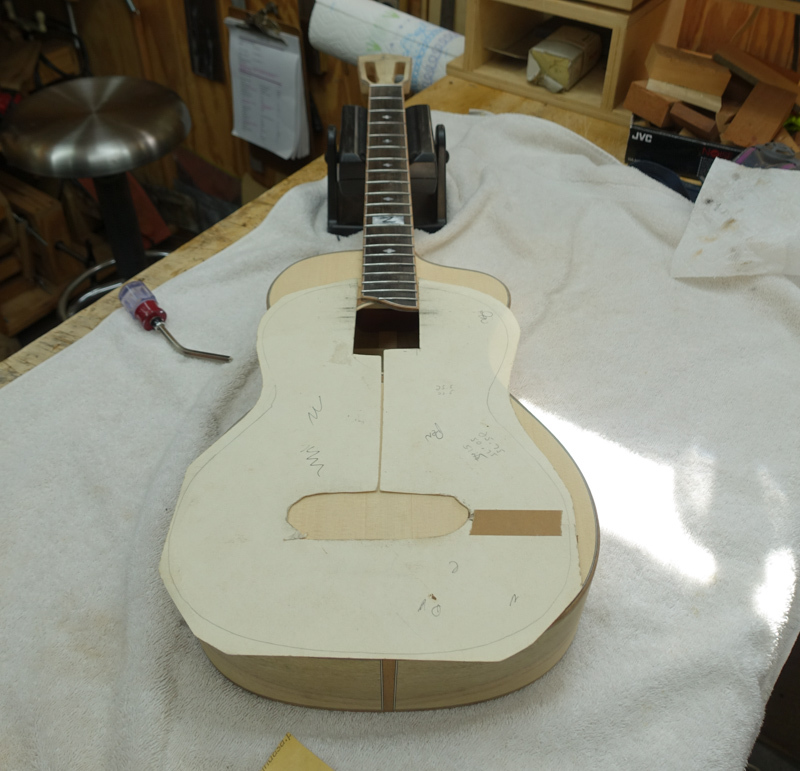 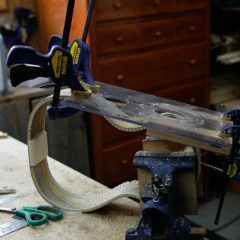 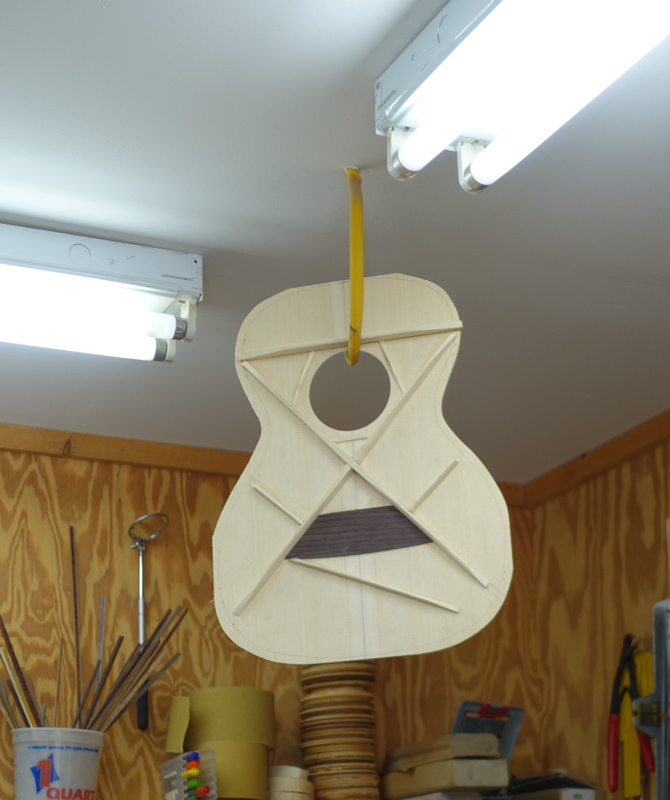 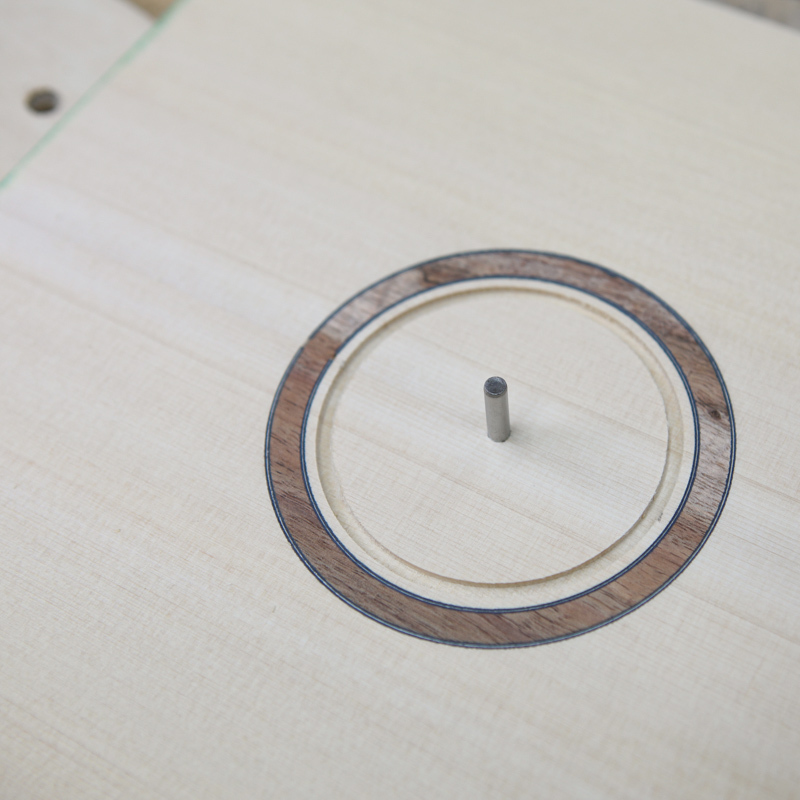 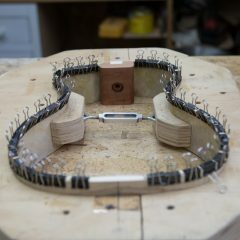 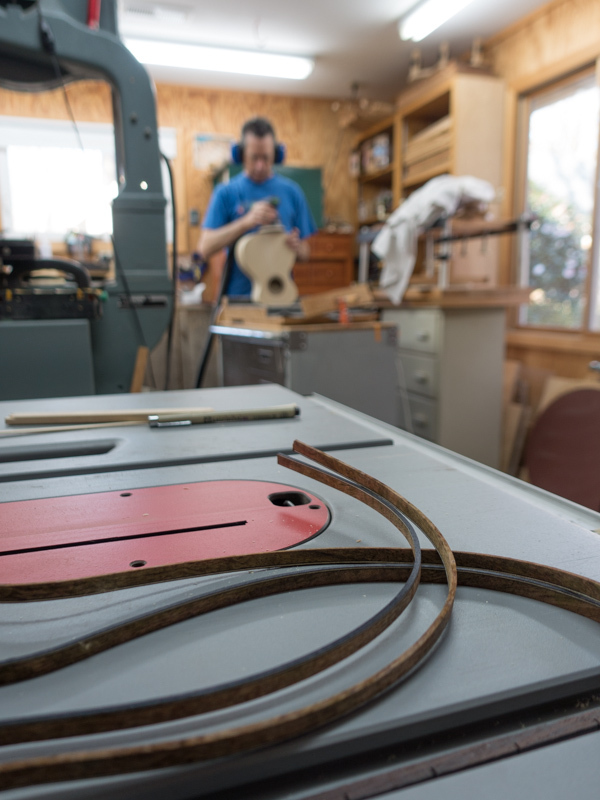 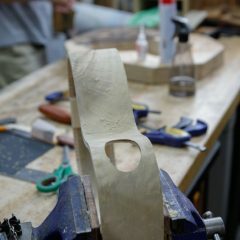 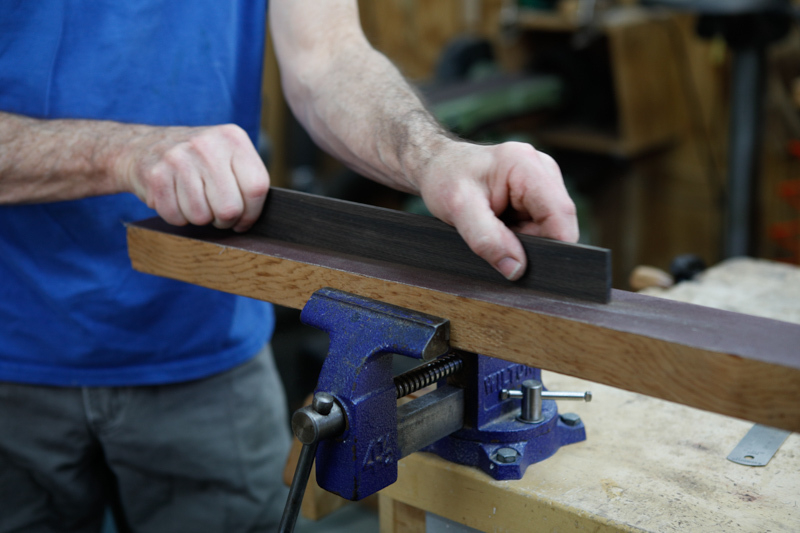 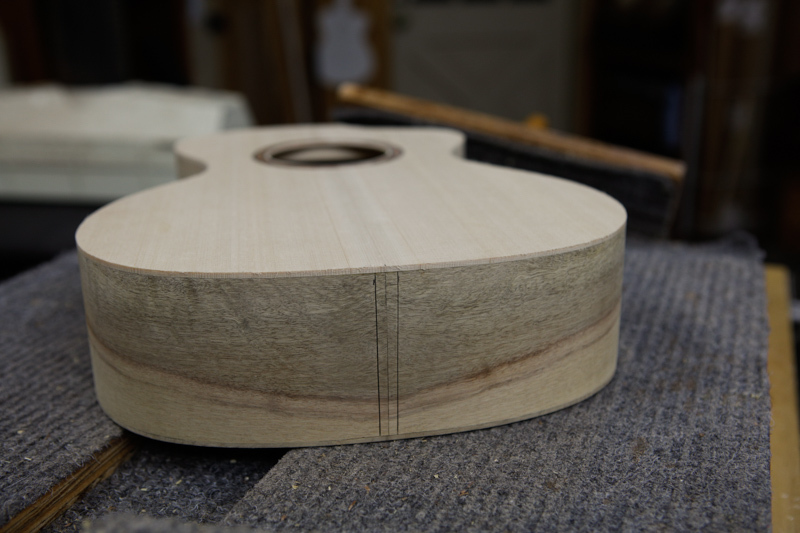 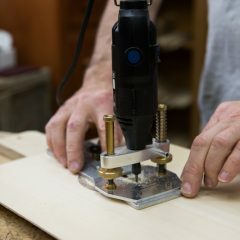 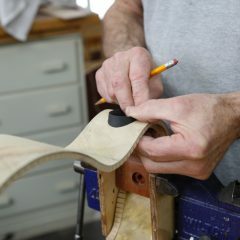 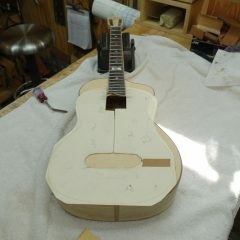 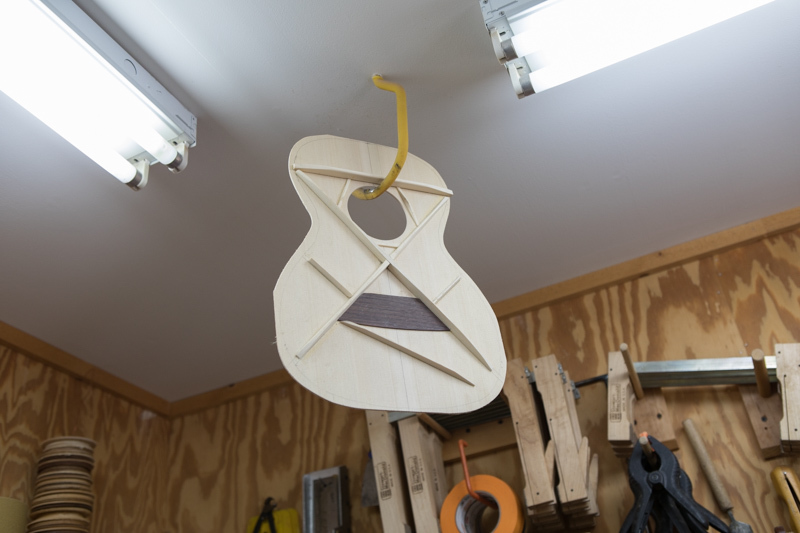 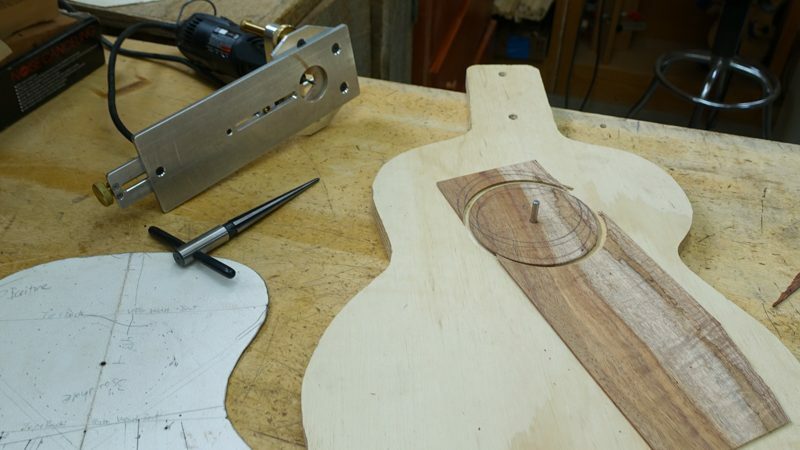 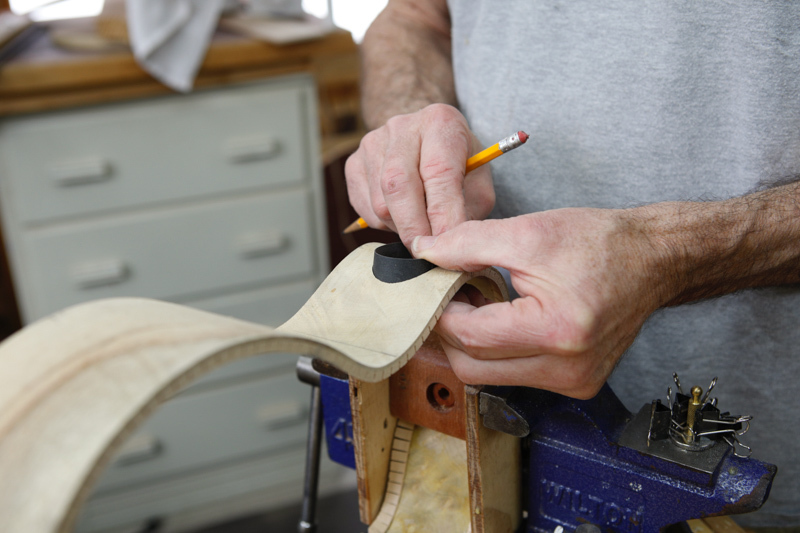 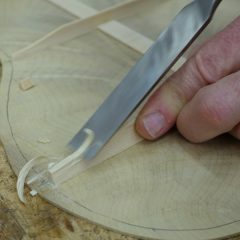 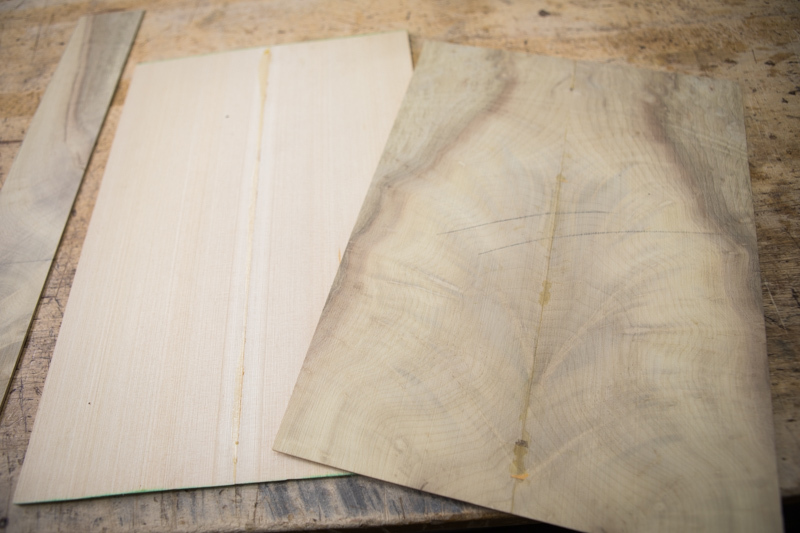 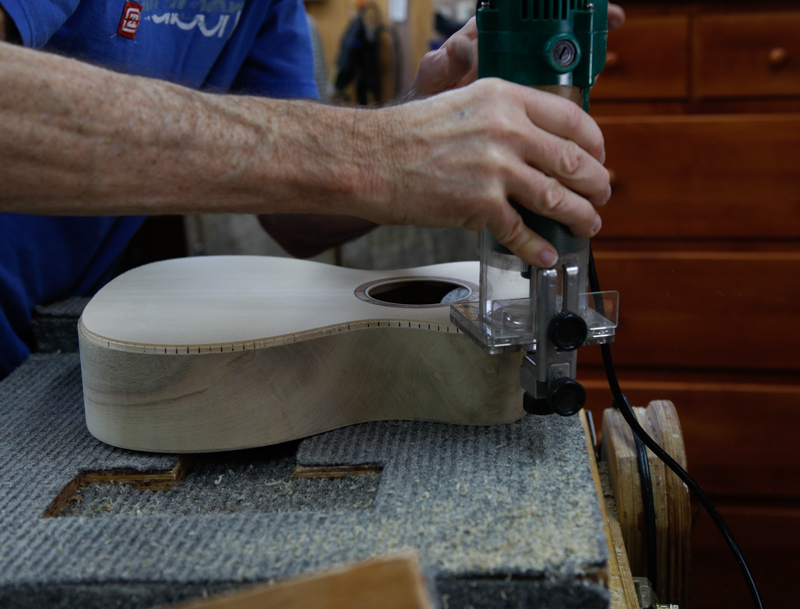 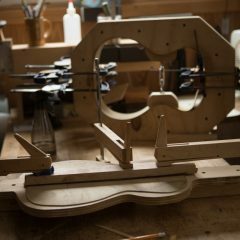 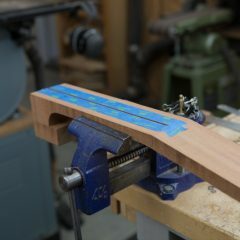 The latest custom uke project comes with a huge fun factor for us for a couple reasons. 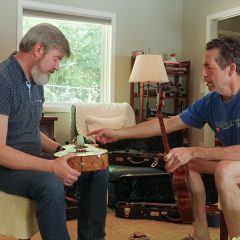 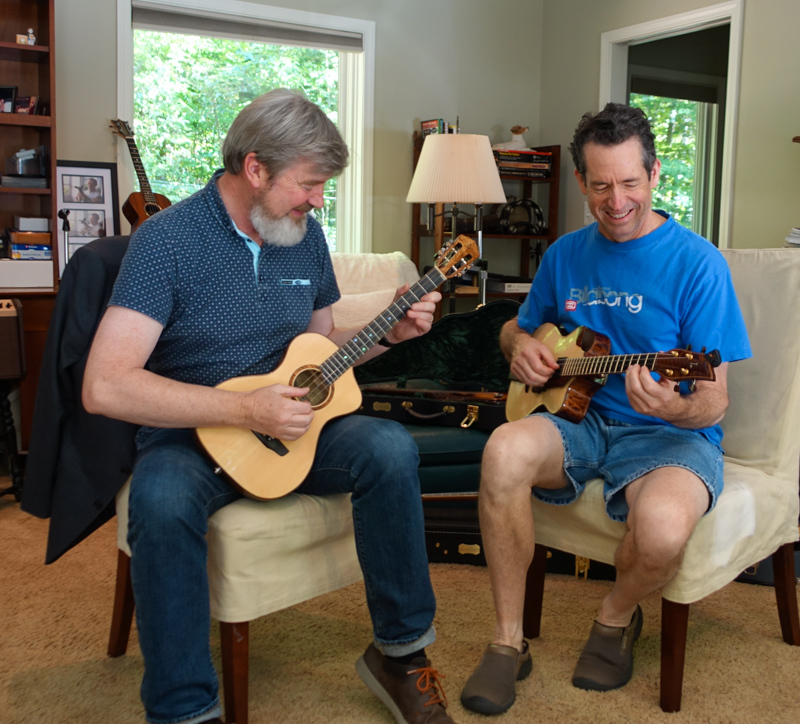 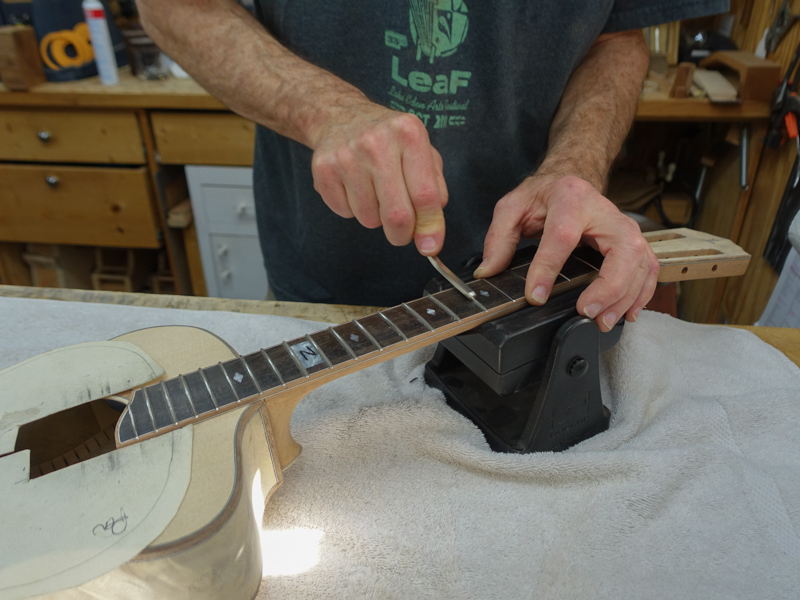 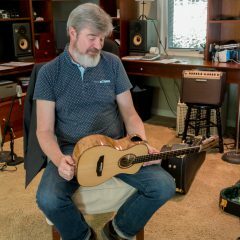 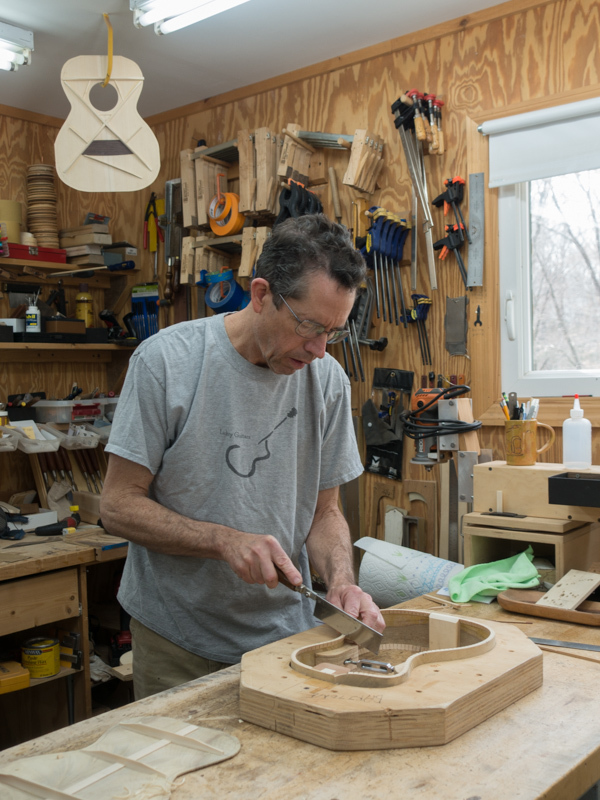 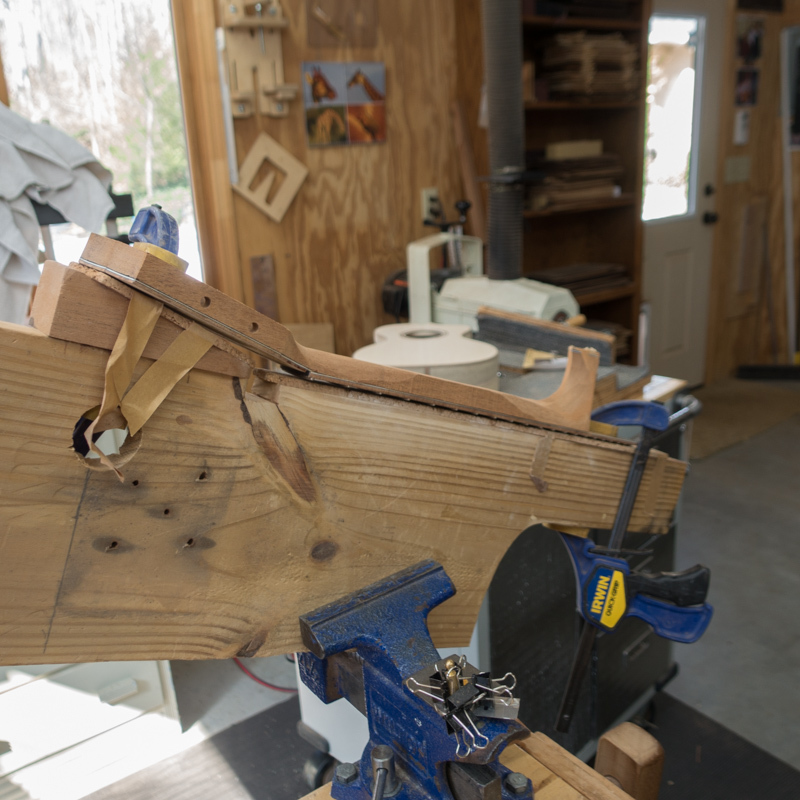 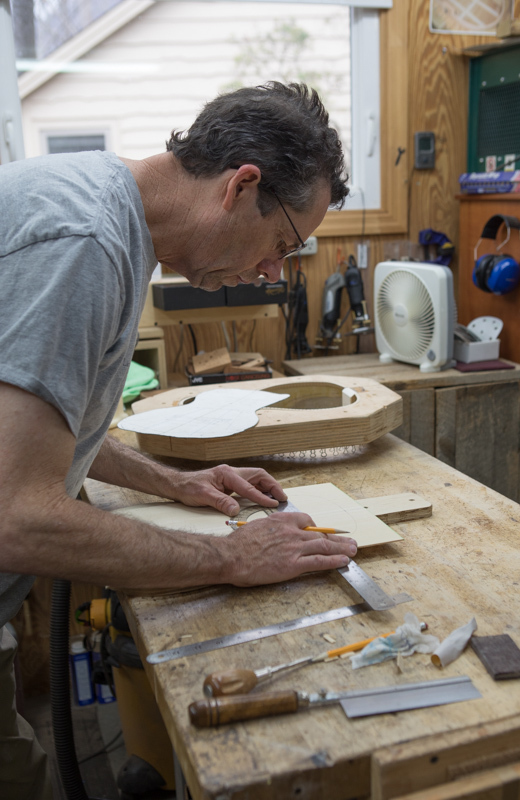 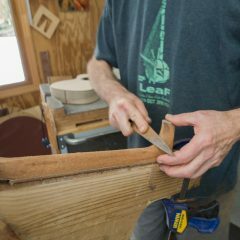 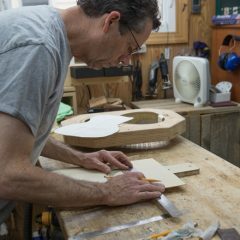 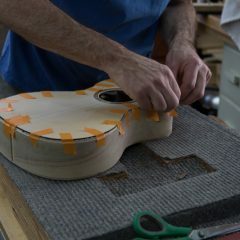 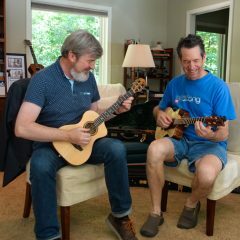 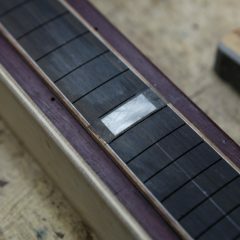 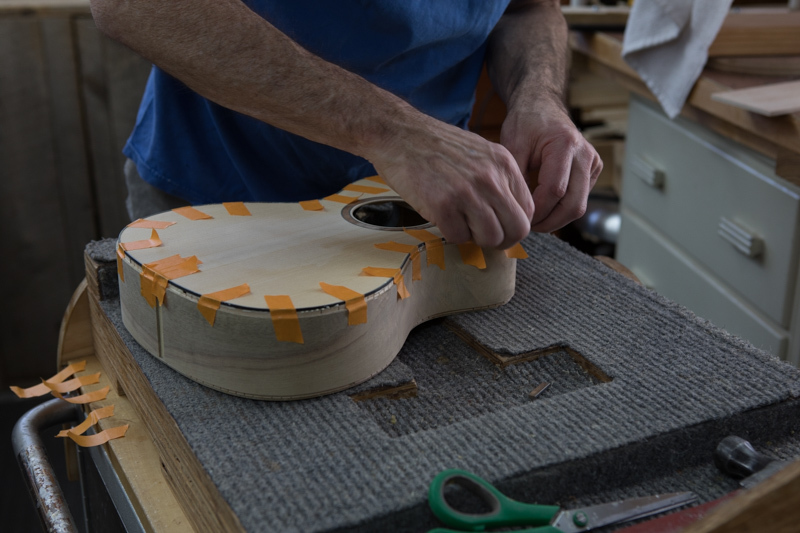 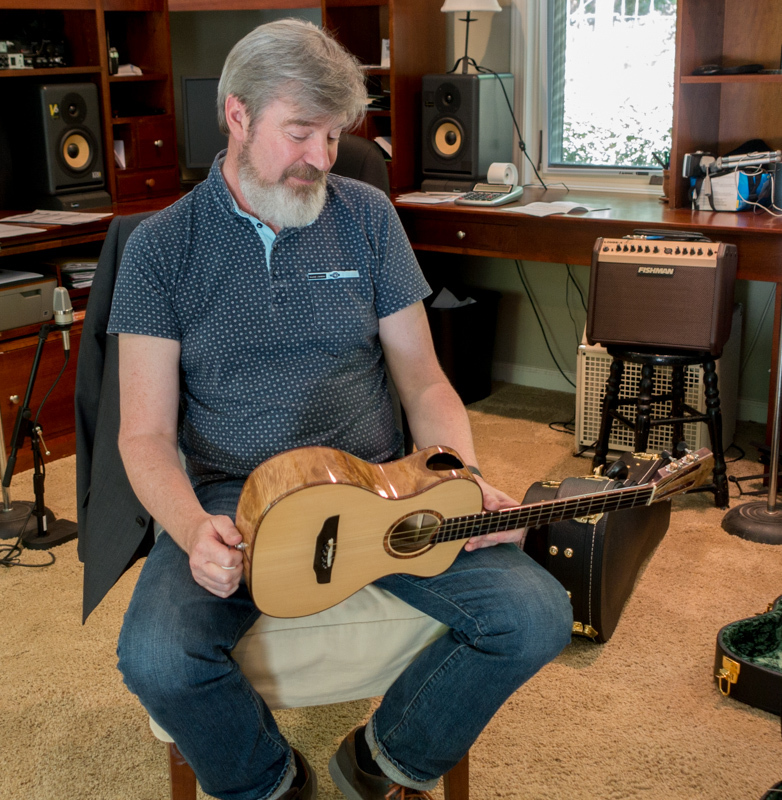 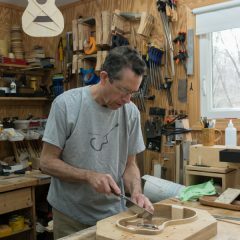 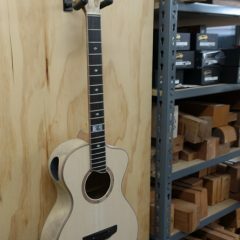 First of all, one of Jay’s favorite instruments to play is his Myrtlewood steel string baritone uke (lovingly referred to “The Flood Uke” given its survival through a shop flood). He is excited about building a similar instrument. 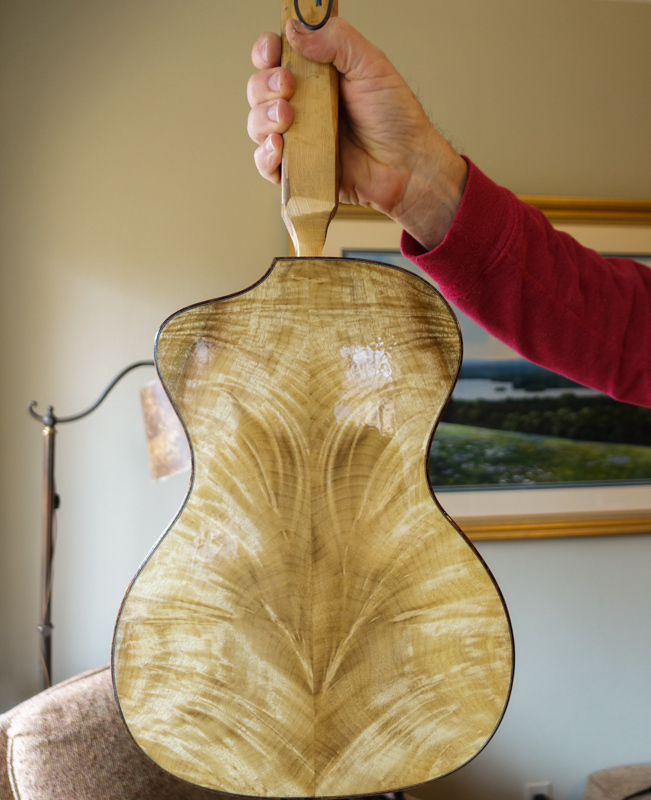 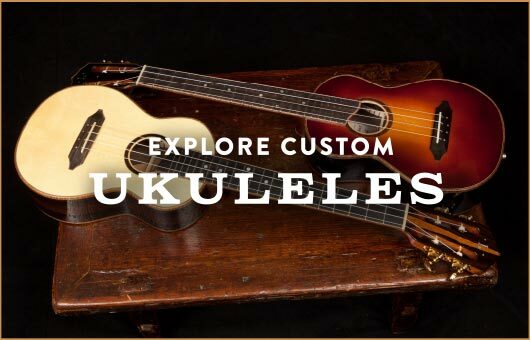 Secondly, the musician who has commissioned this custom uke is none other than Richie Williams, an amazing musician and a member of The Ukulele Orchestra of Great Britain. 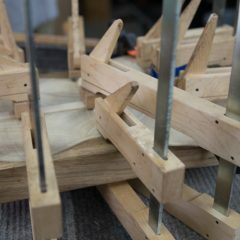 We are HUGE fans! 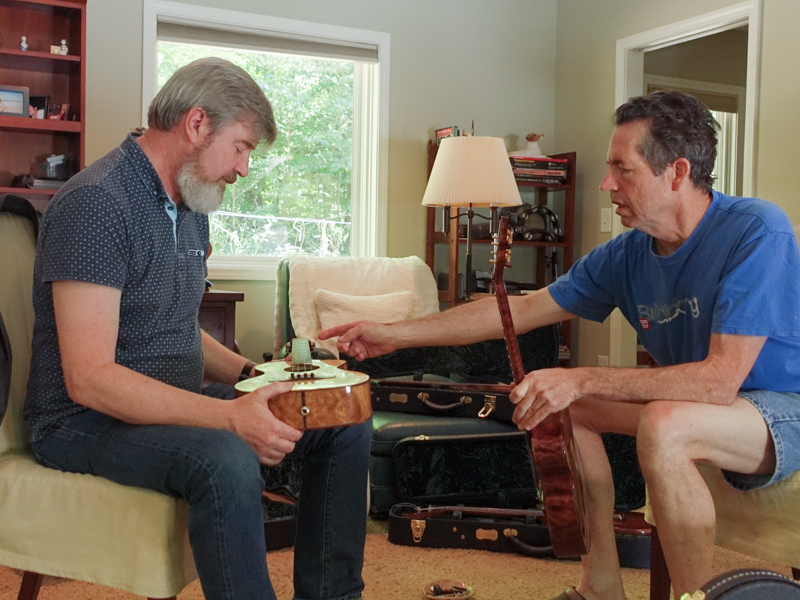 Richie and his lovely wife came to the shop last fall for a visit and for Richie to test drive some ukes. 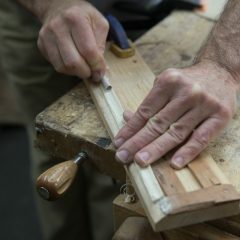 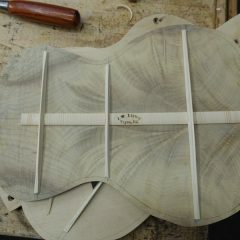 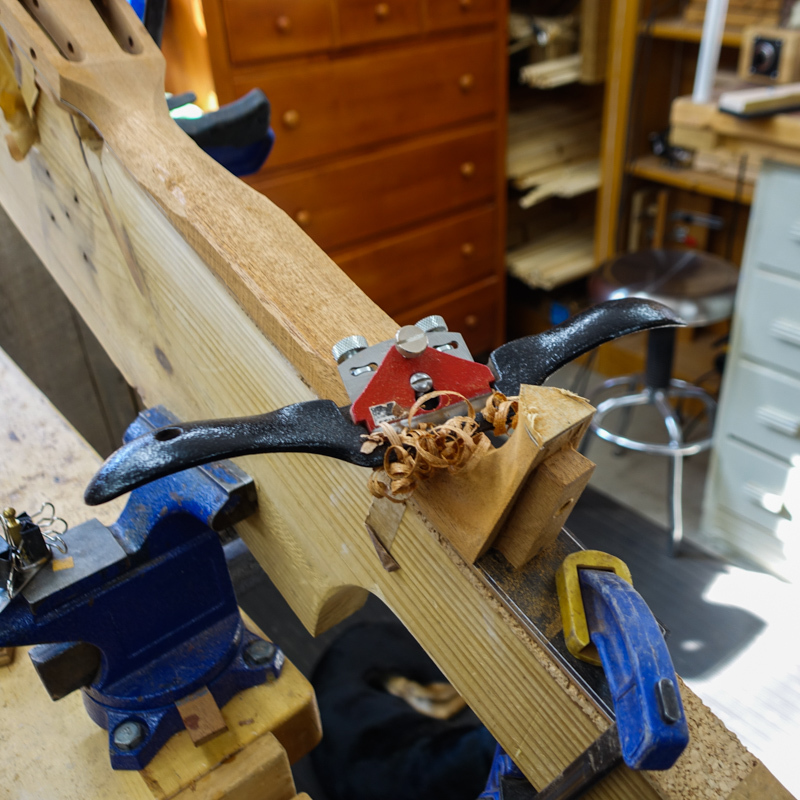 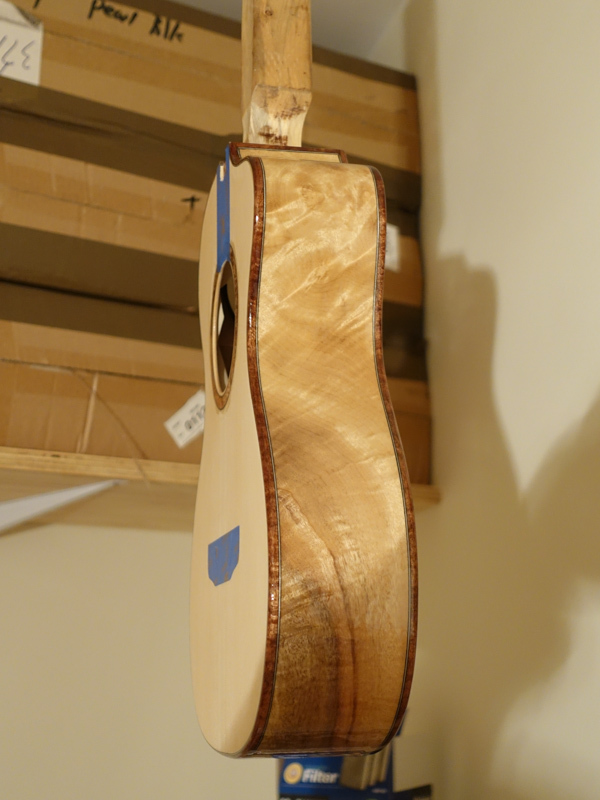 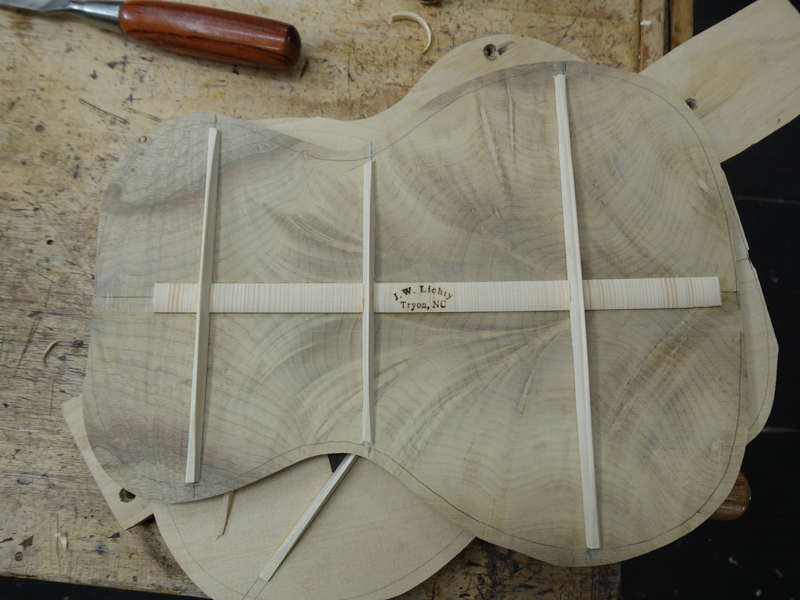 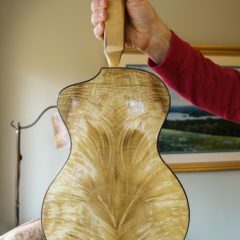 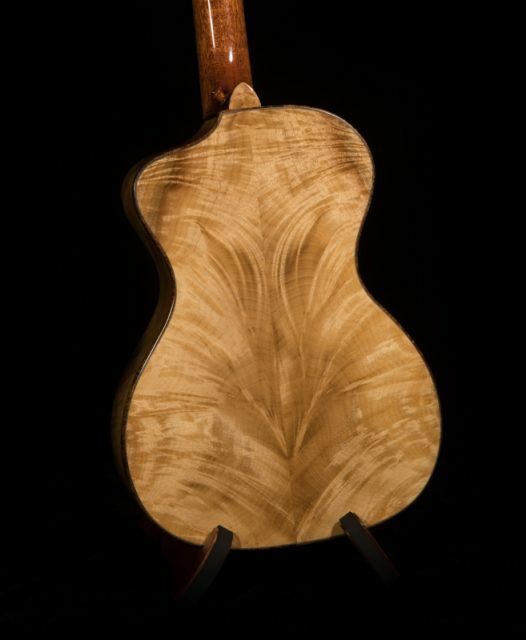 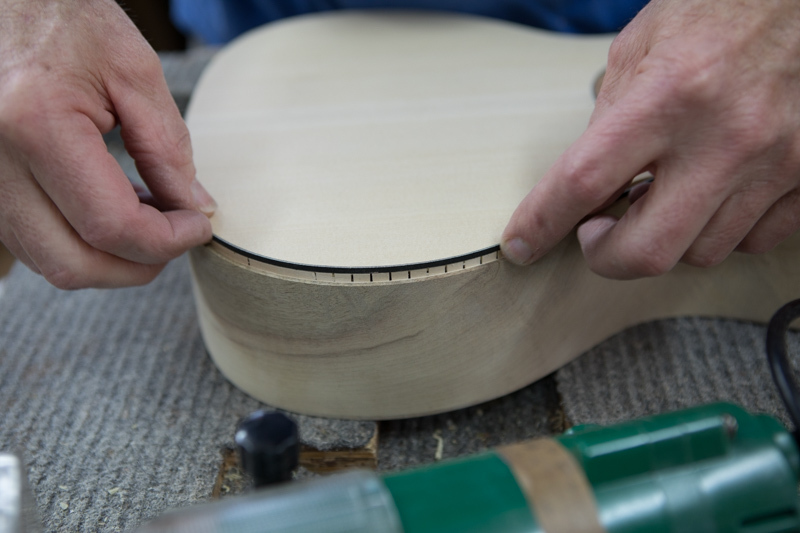 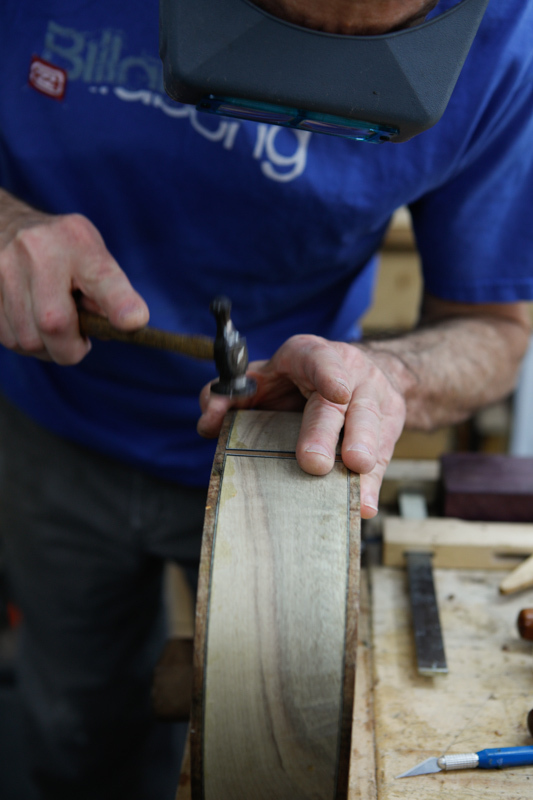 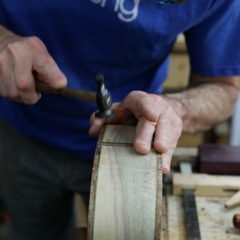 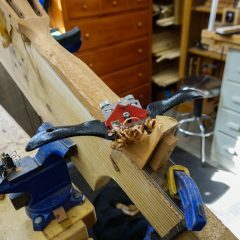 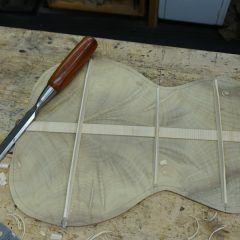 Jay’s Myrtlewood bari seems to have stolen his heart. The good news is that he will have one of his very own very soon.